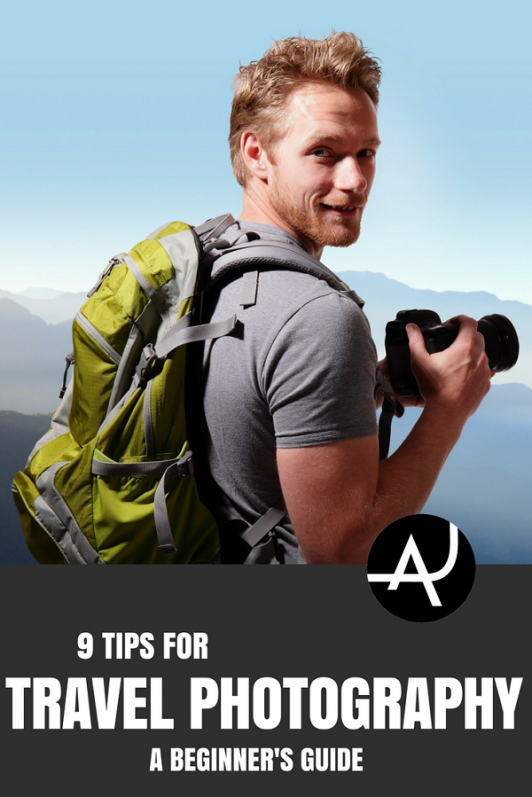 Nothing beats the feeling of returning home with beautiful pictures from the destination you have just visited and, with these 9 travel photography tips, we are confident you will take your skills to the next level. 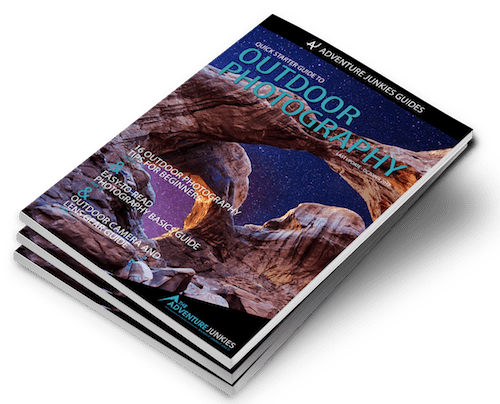 Our goal at The Adventure Junkies is to provide you with the best possible advice to ensure you return home with a collection of incredible photos from your next trip. 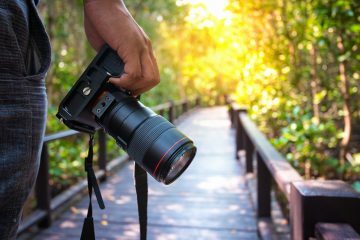 In this guide, we will not only share tips to improve your photography technique, we will also provide some suggestions to make your overall travel photography experience more enjoyable, especially if you’re traveling to a foreign country. Whether you’re taking pictures of landscapes or cities, choosing the right time of the day is crucial to capture beautiful moments with your camera. 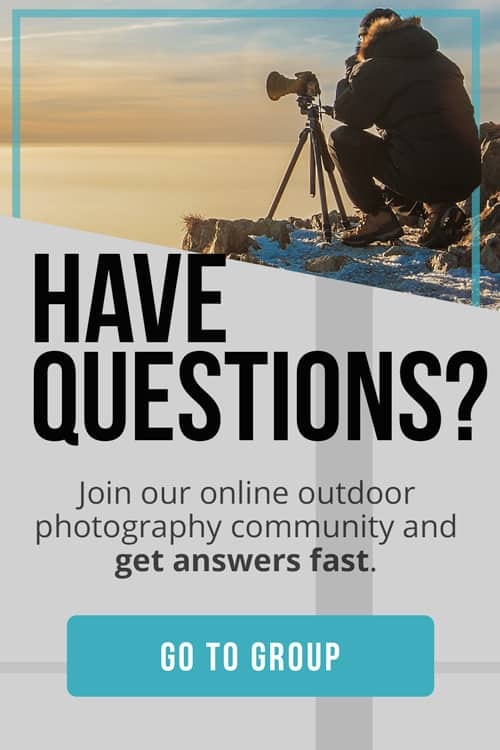 What is the best time of the day to shoot pictures? It’s always sunrise and/or sunset. The sun rays hit the earth more horizontally during these times of the day and, hence, are less harsh on the subject you’re trying to photograph. Pictures taken at midday are usually flat and boring, and lack the vibrant colors that are found at sunrise and/or sunset. Nobody really likes getting up before dawn and, sometimes, you won’t be able to take photos in the evening, but if you want to take your travel photography technique to the next level, this is the only way to go. Learning about the place you’re going to photograph before you actually traveling to the destination will get you ahead of the game. As National Geographic photographer Robert Caputo explains, it is always important to spend some time doing research about the place you’re going to visit. Check your weather app before you head out to your destination. It would be a waste of time to arrive and realize it’s pouring rain. When shooting seascapes, always take a look at the tides. Sometimes it’s better to take photos when the tides are low, other times it’s actually the complete opposite but find out about the destination… and be ready to get soaked in the water. Arrive at least an hour early before sunrise/sunset to scout the area and find the right spot to shoot your photos. People often go into their zone when taking travel photographs and don’t realize that some places are off limits. Be mindful of the area you’re photographing and if photos are not allowed, respect the rules. As a travel photographer, it is always best to keep your gear as light as possible. Your shoulders will thank you for it. 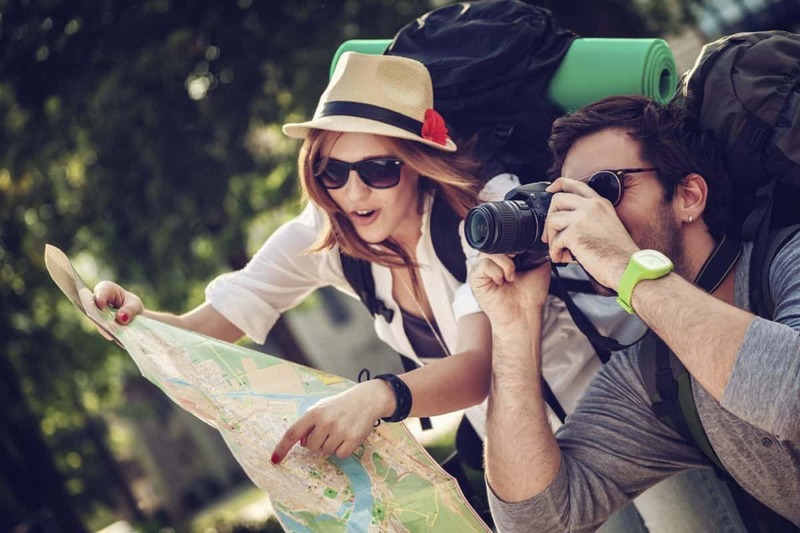 After doing some initial research, decide on the equipment you will take with you in your backpack. Will you need a tripod? How many lenses should you take with you? How about filters? As a rule of thumb, it is always best to carry two lenses: a wide angle and a telephoto lens. 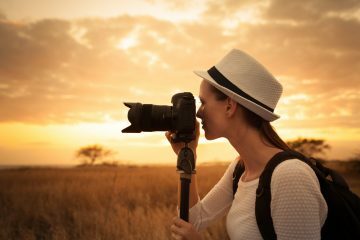 But you will have to assess the situation and the style of photography you want to shoot, and decide which lenses will cover most of your photographic needs. If you’re barely getting started, one of the best travel photography tips to keep in mind is to always follow the Rule Of Thirds. The Rule of Thirds is a basic principle that will help you keep your subjects balanced and evenly arranged within your frame. Basically, with this rule you draw four imaginary lines across your picture to divide it into nine even parts. The most important elements in your frame should be placed within (or near) the four intersection points created by those imaginary lines. Following this rule will add more tension and interest to your pictures. Why take the same photo everyone else has taken? 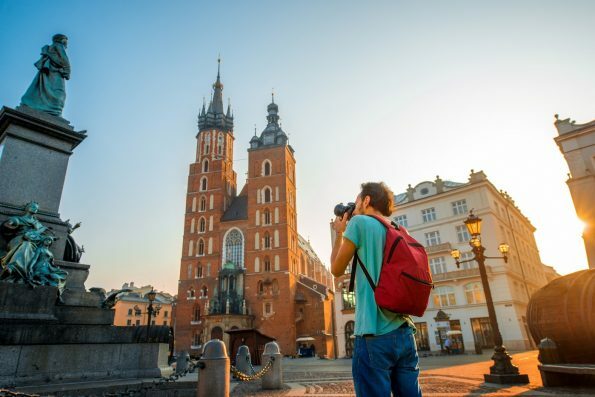 While it’s true that there are some mandatory postcard-pictures that need to be captured, you can always get creative and take that same shot from a different angle. 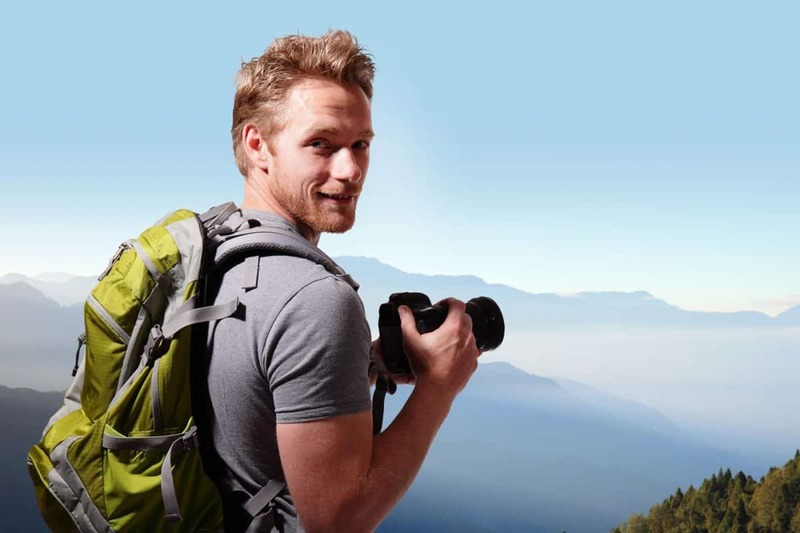 When it comes to travel photography, don’t settle for the first picture you take. Even when you’re at a landmark or wonder of the world, look around the area you’re photographing, challenge yourself and aim for something different. Photography teaches you to be patient. There’s little you have control over, other than the destination you’ve selected and the gear you’re carrying with you. You can’t control the weather conditions, the type of surface you’ll be standing on, the crowds you’re going to run into… but you can control how you feel about the area. And, most times, the best pictures are taken when you’re in a peaceful state of mind. When arriving at your chosen destination, take your time and don’t rush into things. Wait for the right light, or the right tides, enjoy the moment and when everything “clicks”, then capture those moments. When traveling, especially overseas, you will be tempted to take photos of locals. They look exotic and different to you and, as appealing as it sounds to snap candid photos, it is always best to ask for permission first. Not only will you gain their respect, but you might also end up making new friends. People don’t usually mind having their pictures taken and, if along the process, you get to know them a bit better, as well as understand their customs and traditions, you will be able to tell a better story through your photos. Always carry an external drive with you when traveling and make sure you save your photographs in two different places. As soon as you’re finished with your session and are ready to begin the post-processing, spend some time backing up that day’s photos. Electronic devices and memory cards will get damaged or give errors over time, and saving your photos in more than one place will always prevent an unnecessary headache. 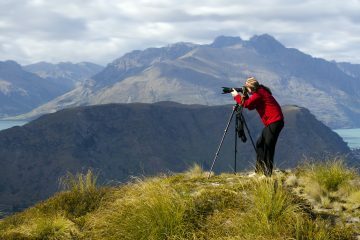 While it may sound counterproductive, this might be one of the best travel photography tips to be shared. Oftentimes, photographers get so carried away taking pictures they forget to enjoy the moment. These days, and especially since the inception of social media, it seems as though every second needs to be captured and shared on Instagram. Yes, take your shots, and as many as you can, with you. But once you’re done photographing your subject, don’t walk away to your next destination instead, put your camera down and take in the moment because once it’s gone, it won’t come back. When you return home and look at the incredible pictures you took, you will also remember the encounters you had during that days and those memories are irreplaceable.